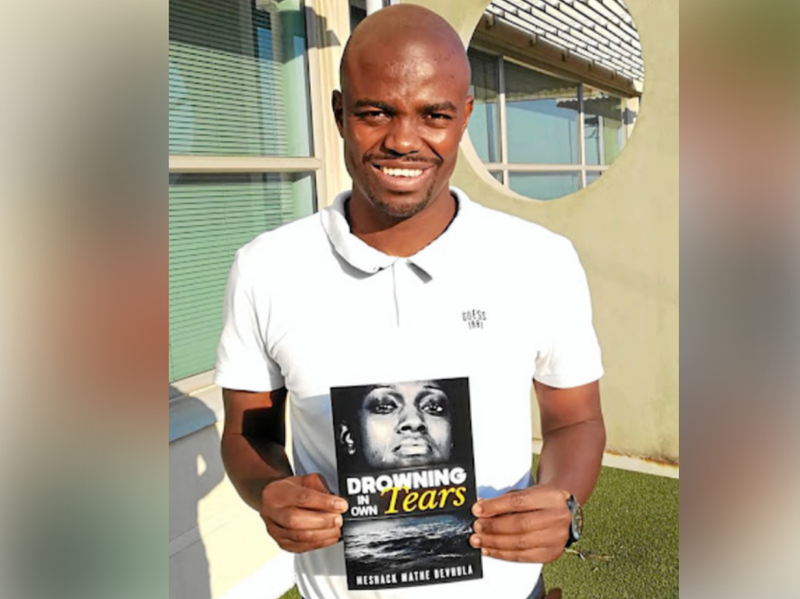 From Giyani in Limpopo, Meshack Bevhula has released his book, 'Drowning in Own Tears', and his life has done a total 360. Listen as Jane and Meshack chat about his book 'Drowning in Own Tears' and his journey thus far, or read the details under the podcast. Meshack Bevhula's story is about rising against the odds. Unemployed and begging for a book deal, things looked bleak for the 28-year-old. However, that has all changed. Not only has his book now been published, but he has also landed a job. According to Sowetan Live, the book is a fictional novel about issues that cripple black communities, such as poverty, and has sold 150 copies to date. After being rejected by mainstream publications since 2016 and going to the streets with a placard in tow asking for help, he was approached by award-winning author and the chief editor of Classic Age Publishers, Vukulu Maphindani. I feel like I was born to write. Even when I feel hopeless, the only thing that brings back my focus is writing. What a beautiful story! Another true testament to having a positive attitude and a spirit that can't be kept down. Having been rejected, most people would lose hope, but not Meshack. I love that he loved telling stories and stood to hold a placard to make sure his story would be heard.